Alan Kulwicki Noted Wisconsin short-track racer Alan Kulwicki moved to Charlotte in 1984 with nothing but a pickup truck, a self-built race car and the hopes of competing in NASCAR’s highest series. He had no sponsor and a limited budget. 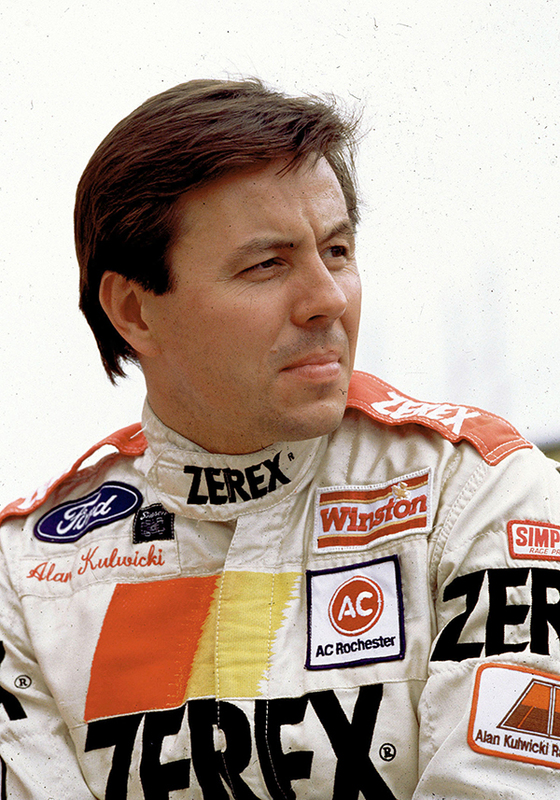 Kulwicki burst onto the scene as the 1986 NASCAR Rookie of the Year with his self-owned AK Racing team. Throughout his career, Kulwicki received lucrative offers from powerhouse race teams, but insisted on racing for himself. That determination eventually led to his first of five career victories at Phoenix in 1988. His signature season was his championship-winning 1992 campaign, where Kulwicki overcame a 278-point deficit with six races remaining to capture the NASCAR premier series title. Kulwicki never got the chance to defend his title, dying in a plane crash in 1993.